Whether you are hitting the town, taking the kids to a park, or finding good eats, this stamp will help you document all outdoor adventures! Use these on cards, scrapbook pages, journals, and planners. 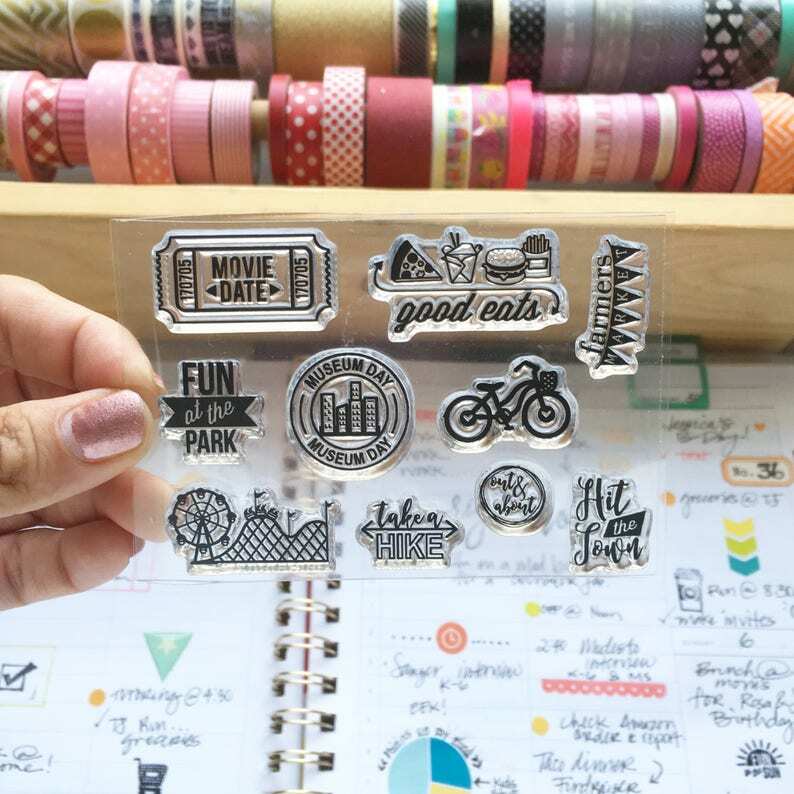 I own and love every planner stamp set from this shop. The details and creativity are amazing...I just wish they would release more stamps more often!